Ya, it's possible to save money at your business. We’ve all heard about “going green” and how good it’s supposed to be for our lives and businesses. But unless you’ve taken the steps to take your business in a green direction, the entire act of going green make feel overwhelming or impossible. We’re here to help. 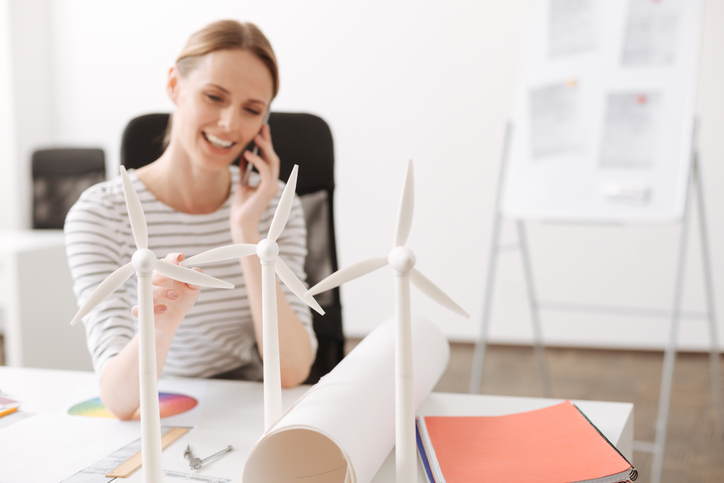 Here are five easy and practical ways you can move your small business down a greener path. 1. Use recycled paper around the office. The first step for many businesses is switching paper types. Purchasing recycled paper is as simple as heading to your local office supply store. Every major paper manufacturer offers recycled paper in a variety of sizes and uses. There’s no drop-off in quality, no major price differences, and it saves trees, water, energy, and space in your local landfill. Also, there will always be a need for scrap paper, so don’t throw paper away. Reusing pages that only have printing on one side is an excellent re-purposing of a product. Printing double-sided documents whenever possible is also an excellent way to get the most out of your paper supply. 2. Use refillable or recycled printer ink cartridges. If you have to buy ink for several printers it can become quite expensive. Recycled ink and ink cartridges have gained prominence in the workplace and offer businesses a legitimate way to save real money. Savings can be as much 70 percent versus traditional ink cartridges. Office supply stores and printer manufacturers offer rebate programs and other incentives to recycle used cartridges and purchase recycled inks. And you’ll never have to wonder if there are cartridges available for your specific printers. Recycled ink cartridge manufacturers offer solutions for every ink-jet and laser printer in use today. Companies such as HP offer ink-refill plans through their HP Instant Ink program which also includes a recycling program with prepaid envelopes. 3. Reduce the paper clutter. Alleviating paper clutter can mean many things to you depending on the size of your company, but here are a few easy tasks to complete that will make a difference. Your company probably receives more junk mail than you realize. Some of it is unsolicited and that’s hard to manage, but plenty of it comes from mailing lists you’ve joined. Remove your company from as many non-essential mailing lists as possible and you’ll see a noticeable reduction in wasted paper from the mail. Most companies today offer paperless solutions for their various correspondences. Banks, utilities, service providers, government agencies, newspapers, and trade magazines all offer email or web-based alternatives to traditional mailings. Switch to as many of these paperless solutions as possible and enjoy further reductions in the amount of needless paper in your mailbox. 4. Make the switch to energy-saving light bulbs. This is one those “green” initiatives we hear a lot about but might not fully realize the full impact the right kinds of lighting products can have on your bottom line. Traditional light bulbs are horribly inefficient compared to today’s energy-saving bulbs. These bulbs are ten times more efficient than incandescent bulbs. This translates to getting the same amount of illumination at a tenth the cost. The tradeoff for this type of technology comes in the up-front price. LED bulbs run approximately $35 per bulb, which can certainly add up to a substantial amount at one time. However, these bulbs also last 40-50 years before they need to be replaced, so that means they’re about $0.70-$0.88 per year. These bulbs are roughly seven times more efficient than traditional incandescent bulbs and come in at a fraction of the price of LED bulbs. At roughly $4 per bulb, the ten-year lifespan comes to just $0.40 per year. The savings on monthly utilities alone makes switching to the most energy-efficient bulbs and lamps you can afford a savvy financial move and a great way to green-up your company. 5. Start carpooling or using public transit. Many companies offer employee incentives to carpool and to take advantage of public transportation. Preferred parking spaces are often an excellent incentive for employees to carpool, but there’s no limit on what a company can do to encourage participation in this type of program. Public transportation companies also have incentives for businesses to participate in their clean air programs. These typically include discounted transit passes and some form of recognition for its participants. There are countless ways you can take your company in a green direction; the trick is to just get started. Hopefully these ideas will get you moving in the direction you always wanted to take but weren’t sure if there was really a difference to be made. If you’re looking for even more ways to save some green, there are even more cost management techniques available.